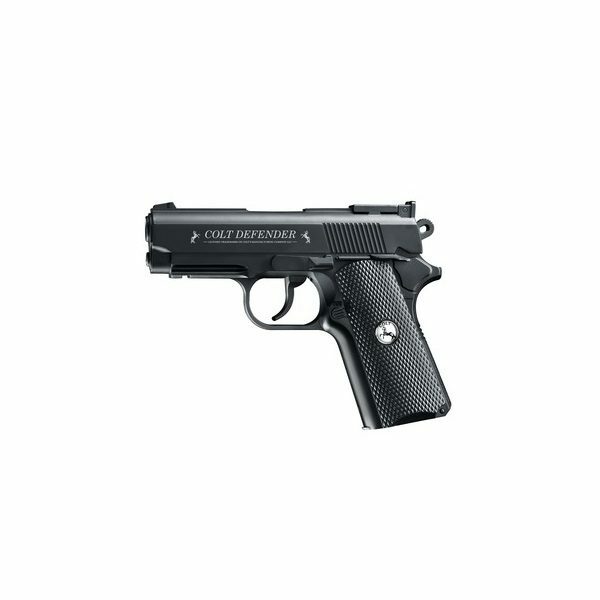 The frame and slide made from metal, gives the Colt Defender by Umarex a realistic weight and excellent feel. This air pistol’s CO2 capsule is held in the frame and can be quickly changed. The manual safety prevents accidental firing. A Weaver rail for additional accessories is attached below the muzzle.